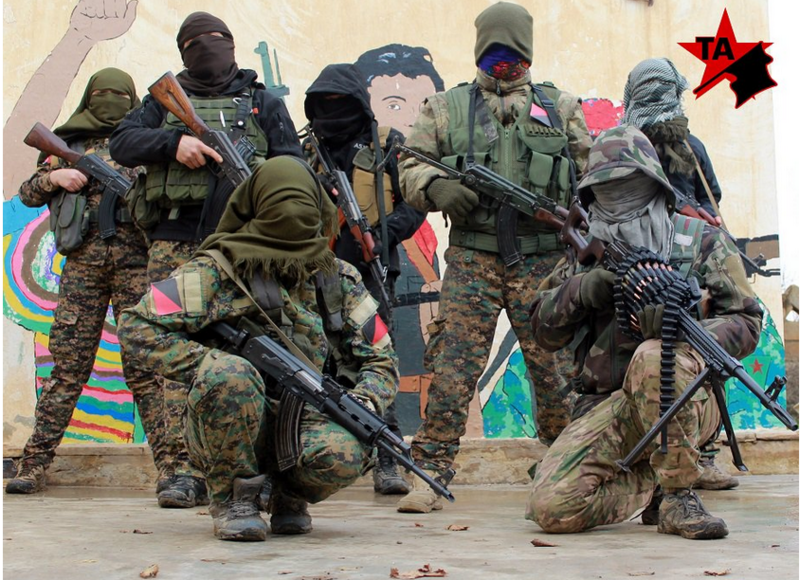 This group is a third one anarchist formation, officially stated its existence in Rojava. Two others are also exist: RUIS and IPRGF. 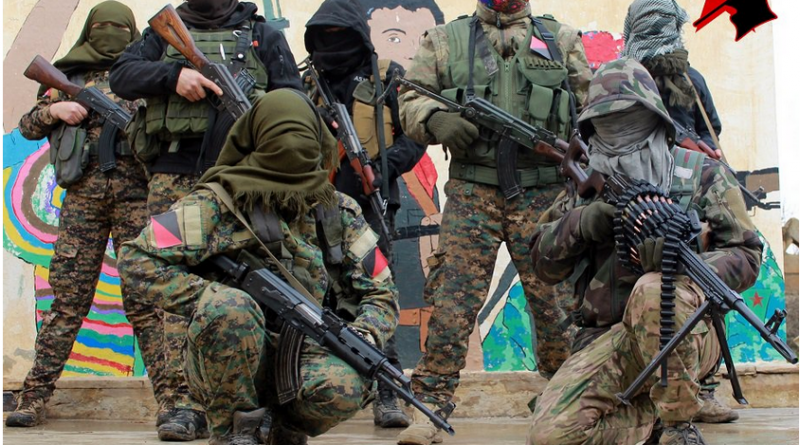 “Today, we, a militant anarchist collective, announce our presence in Rojava and our participation in the newly reformulated International Freedom Battalion. Tekoşîna Anarşîst (Anarchist Struggle) was formed in Rojava in the Autumn of 2017. But we chose not to be outward facing due to strategical and security reasons. With the looming threat of Turkish invasion, in response we now believe it is important to become public and announce our existence here. As committed anarchist internationalists we view the struggle here as an important fight for women’s liberation and peoples’ self-determination. Since our inception we have been consistently active in the defense of Rojava. We first participated in the defense of Afrin where one of our members, Şevger Makhno fell şehid by Turkish air-strike. After Afrin was lost to the invaders, we have been engaging in the final fight against Daesh on the Deir ez-Zor front. As the Turkish state and their Islamist proxies continue to amass troops on the border, we have also begun to focus on preparing for a potential invasion. While many anarchists do choose to integrate into YPG, YPJ and other existing military units, our strategy is somewhat different. We believe that maintaining a distinctly anti-state libertarian position with a physical base of operation allows us to engage with the movement here while also furthering the anarchist tendency. We see the IFB as a much needed international revolutionary formation for the impending fight against Turkey. Participation in this tabur allows us to engage in the peoples’ self-defense while still retaining our autonomy as Anarchists. The impending Turkish invasion is an existential threat to the Kurds as well as other ethnic groups in the region such as Assyrians, Armenians and Yezidis. The Turkish state wishes to extend their ethno-nationalist project by expelling indigenous people from their lands and replacing them with non-native populations as they have done in Afrin; exterminating ethnic minorities, erasing indigenous identities and banning indigenous languages, is the very foundation upon which the Turkish state was built. We will not stand idly by while Turkey attempts to carry out its genocidal project. As in Afrin, we are once again fully prepared to stand in direct solidarity with the people of Rojava, fighting side by side until victory or death. We call upon comrades from all continents to show solidarity with the people of Rojava. We call for unity against fascism and the neo-colonial project of the Turkish state. Death to all those who stand in the way of freedom! Long live the peoples’ resistance!